This quilt is a long time coming - and my last finish of 2015 (a year of not-so-many quilty finishes). I started it when my little Audrey was just born - so almost 4 years ago. I had a jelly roll of Coquette from Moda, and was itching to use it. What better way than for my little girl? Such a feminine print, very provincial. This is an original design; I decided to improvise my strip-pieced triangles into a more modern, zig-zaggy design. The quilt comes in at about 55" x 70" or so, and is bound with left over strips from the jelly roll. 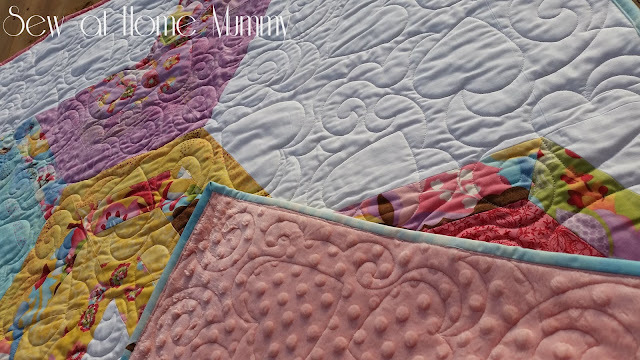 I backed the quilt with minky dimple dot in a soft pinky-peach color. The amazing quilting was done by the super awesome Melissa at Sew Shabby Quilting! Little Audrey is receiving this quilt this morning as her 'big' Christmas present - she is going to be so excited! 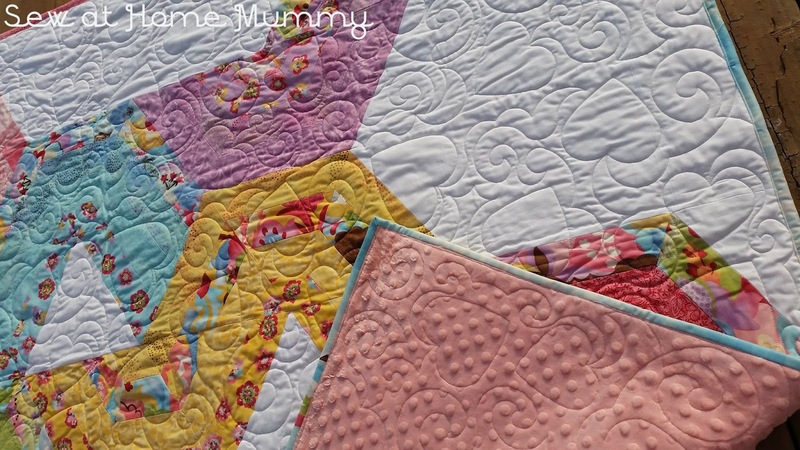 Linking up to TGIFF, being hosted by Knit-Spin-Quilt today! What a great design. Love the heart FMQ. Merry Christmas. Merry Christmas! Love your quilt and I'm sure your daughter was thrilled when she opened it today!! Sweet! I love that snugly back side! That is gorgeous! the quilting is lovely too. 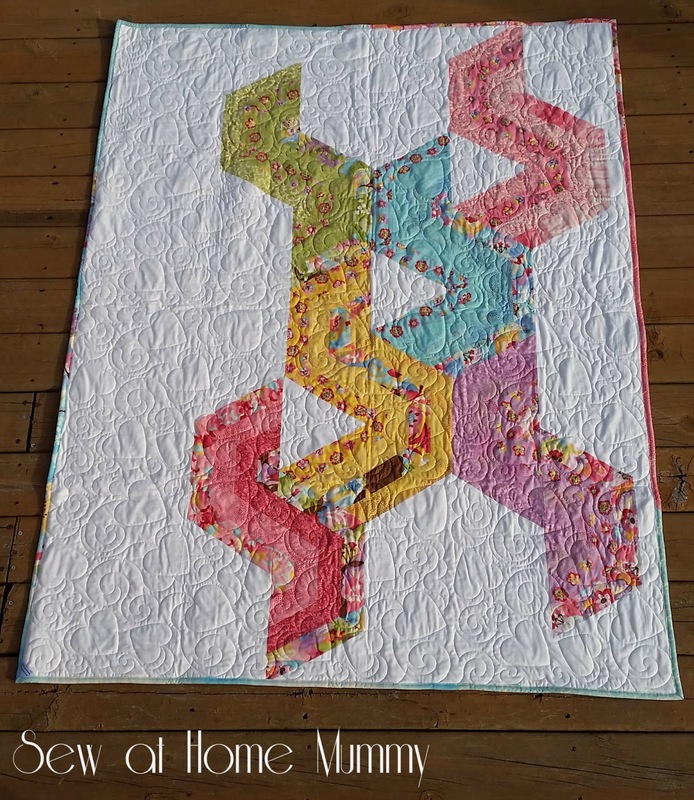 I'm guessing your quilter has a pantograph or computer design - I wish I could get my FMQ like that!! !